Longtime Donald Trump lawyer Michael Cohen returned to his Manhattan apartment Friday after suffering some kind of physical injury – with his arm appearing to be in a sling on a day President Trump and his team once again branded him a liar, reports The Daily Mail. Cohen could be seen Friday with his left arm covered, hanging in a sling, while sporting a possible black eye. His right hand had a small bandage of the kind used to cover a small wound by an IV. He also wore a red identification of the kind distributed by hospitals. Cohen is scheduled to testify before the House Oversight Committee on February 7 where he is expected to be in attack mode against Trump. 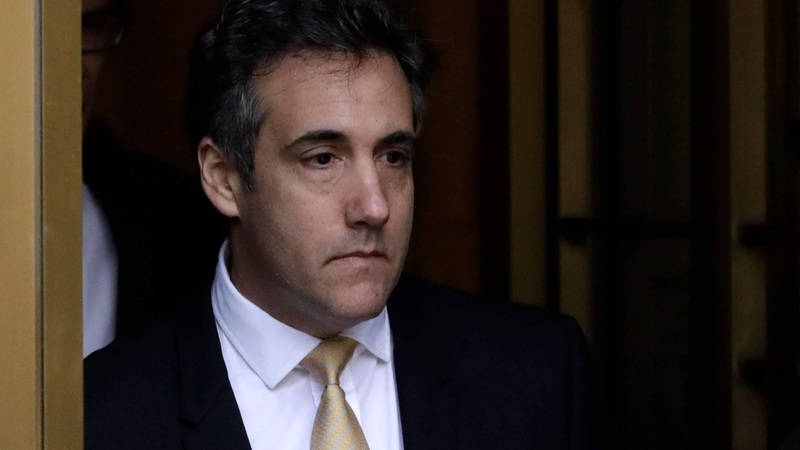 In recent days, it has leaked that Cohen claims to have attempted to rig poll data during the 2016 election campaign to favor Trump and he claims Trump told him to lie to Congress about Trump's attempted business dealings with Russia. Since this is Michael Cohen we are talking about, he most likely did something to himself to make it look like he was attacked. I had always assumed that suspicions and accusations of "arm-twisting" to get him to squeal were in the metaphorical sense and not the literal sense. Silly me.